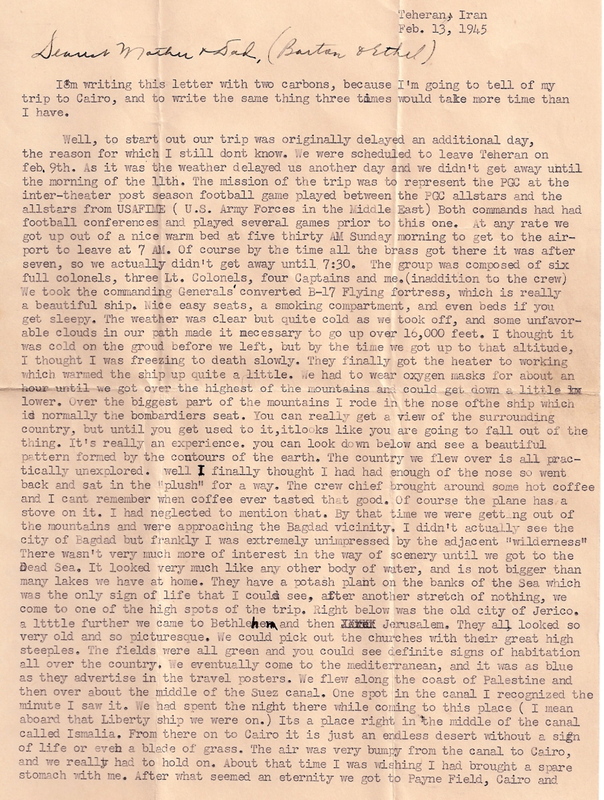 This is a letter from a lowly entry level Captain in the US Army during WWII. 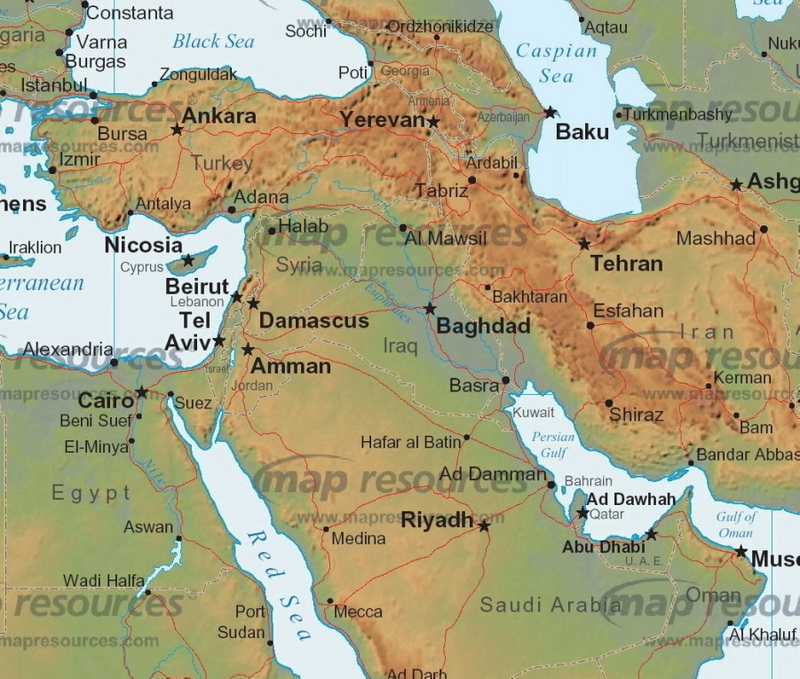 It entails a trip on a General's converted B-17 from Tehran, Iran to Cairo, Egypt. It was a 36 hour trip to see an American football game in Cairo for a priviledged few. 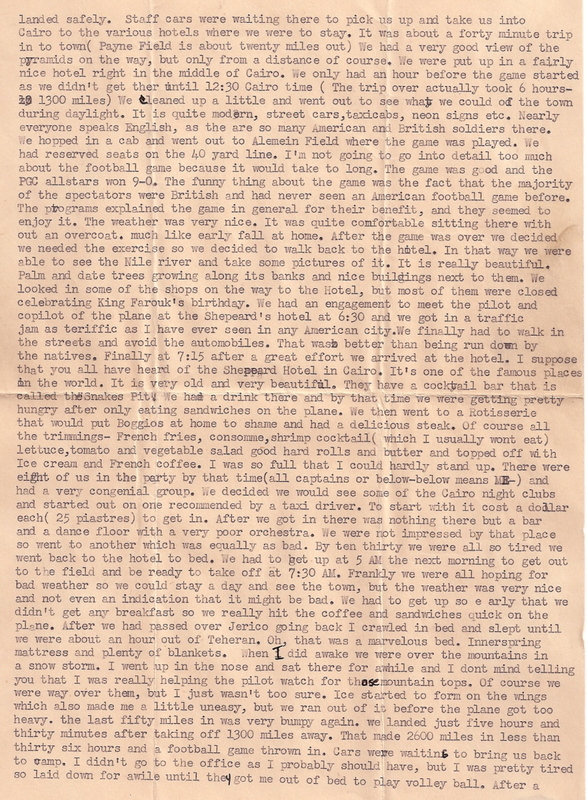 An interesting 2 1/2 page letter from February 1945. 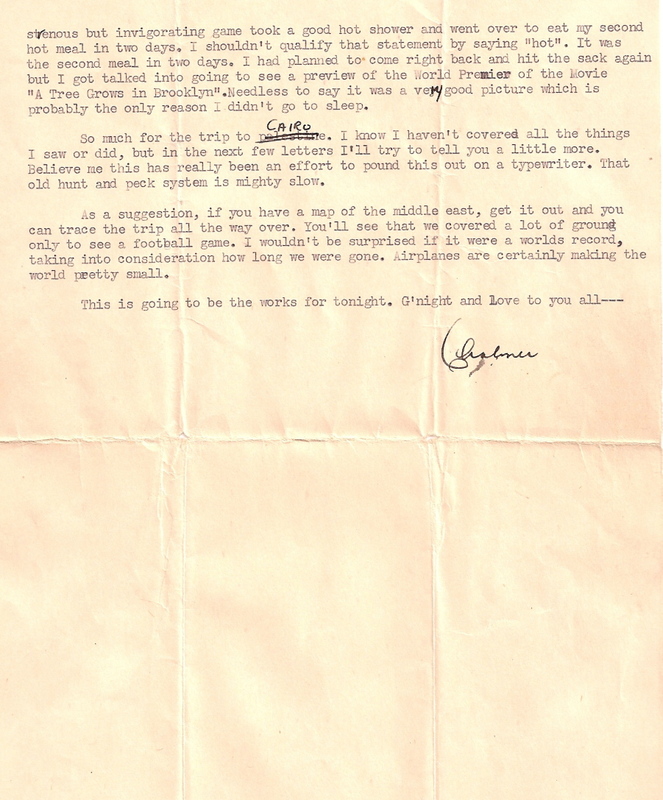 This letter was written by my dad Chalmer Jaynes. rank has it's privileges! wouldn't that have been a fun trip!